The Council on Hemispheric Affairs (COHA) urges the Obama administration to alter its course from its increasingly belligerent foreign policy towards the government of Venezuela to one of constructive exchange with Caracas. Despite the very tense present ties between the two hemispheric nations, President Nicolas Maduro remains open to a relationship of mutual respect with Washington. President Obama should consider reciprocating. U.S. support for the right-wing opposition in Venezuela, most infamously during the 2002 coup attempt against then-president Hugo Chávez, has been extraordinarily counter-productive, providing legitimacy to President Maduro’s claims of continued U.S. meddling. The U.S. sanctions recently set into place against Venezuelan governmental leaders, and the continued U.S. financing of political groups and organizations in the Venezuelan opposition now have added fuel to strong anti-imperialist sentiments throughout the region. The sanctions rightly earned the condemnation of the Community of Latin American and Caribbean Countries (CELAC), which have repudiated foreign interference in the internal affairs of Venezuela. This comes at a time when CELAC nations are re-examining their ties to the United States, looking at other options for trade and for arms supplies, and forging stronger economic and strategic links with China and Russia. The Obama Administration’s policies toward Caracas are harming U.S. interests in Venezuela and across the region. The election of President Obama in 2008 had inspired an expectation in the region that the U.S. would abandon its Monroe Doctrine policies, which had led to the overthrow of democratically elected governments that had not met Washington’s ideological requirements. The U.S. was widely and correctly perceived in the region as having played a role in the disappearances, torture, and murders of political opponents of the 1970s and 1980s. But these were mainly crimes of prior presidents, and Obama had the chance to create new U.S. moral standing the region. He failed. Despite repeated promises, Obama has yet to close Guantanamo. In 2009 the Obama administration supported a golpista regime that emerged after a coup against the democratically elected President of Honduras, Manuel Zelaya; this policy brought further dismay in the Americas. It constituted a return to Washington’s interventionist policies, carried out by Secretary of State Hilary Clinton, who supported the coup-driven government in Honduras in 2009. Even the usually timid Organization of American States condemned the coup and post-coup government. Disappointingly, the Obama administration’s intensification of the adversarial relationship with the Bolivarian revolution in Venezuela is fully consistent with this ill-conceived policy direction. Since President Hugo Chavez’s first electoral victory in 1998, the U.S. has provided support for regime change in Caracas, funneling U.S. AID and National Endowment for Democracy funds to right-wing Venezuelan opposition organizations, with an additional $5.5 million proposed for FY 2016. The Bolivarian revolution had offended Washington officials at least in two key policy areas: the push back against neoliberalism and the leadership of the late President Hugo Chávez in the cause of Latin American independence and integration. In April 2002 the U.S. provided de facto recognition for a short-lived coup regime that came to power by overthrowing the democratically elected Chávez government. During that coup all of Venezuela’s democratic institutions were suspended, including the National Assembly, the Supreme Court, and the Constitution. The head of the Venezuelan Federation of Chambers of Commerce (Fedecamaras), Pedro Carmona Estanga, claimed the presidency, a term in office that lasted two days. The coup was reversed by an unprecedented popular manifestation of support for the constitutional government and the deployment of the predominantly loyal Bolivarian Armed Forces. Since that time, the U.S. has continued to support some of the same figures from the right-wing opposition that were involved in the deeply unpopular and anti-democratic coup attempt in 2002. Elements of the ultra-right are still bent on extra-constitutional regime change when democratic procedures do not go their way. However, this opposition is presently divided, lacks popular support, and does not present a viable democratic alternative to the elected constitutional government. 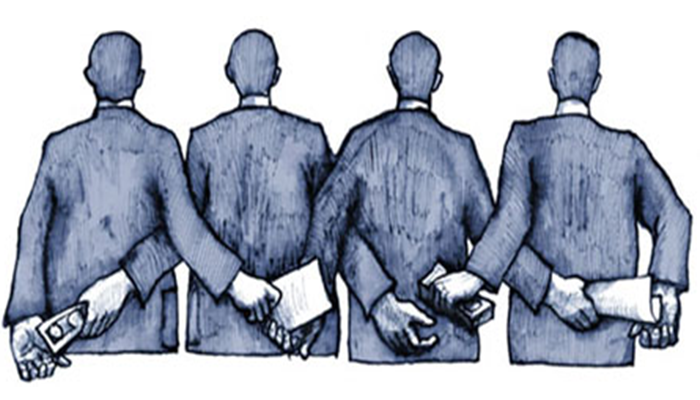 The upcoming legislative elections present a legitimate means of increasing political influence on governance. In the face of ongoing attempts to overthrow the government, including terrorist attacks, assassinations, sabotage, coup plots and escalating U.S. hostility, the Bolivarian Armed Forces have made it very clear that they remain loyal to the Bolivarian Republic and will defend the constitutional order. During the past decade the U.S. has indulged in episodic adversarial relations with one chosen foe or another that does not adhere to Washington’s enthusiasm for neoliberal economic principles, including Venezuela, Bolivia, Ecuador, Nicaragua, as well as Argentina. But from Athens to Caracas, there are a growing number of democracies that are calling the neoliberal model into question. On February 20, 2015, White House spokesman Josh Earnest, commenting on yet another round of possible sanctions against Caracas, said, “The Treasury Department and the State Department are closely monitoring this situation and are considering tools that may be available that can better steer the Venezuelan government in the direction that they believe they should be headed.” The Obama administration’s attempt to “steer” Caracas away from a project that has lifted millions of Venezuelans out of poverty, is a violation of that nation’s right to democratic self-determination and a menace to the 200-year old struggle by Latin America to gain authentic independence. U.S. policy ought to engage in diplomatic and commercial relations with its southern neighbors based on respect for the diverse forms of governance to be found in the region, including left and left of center ones, rather than intransigent insistence on the adoption of the free market gospel. The U.S. would be well advised that the destruction of democratic institutions, however imperfect those institutions may be in Venezuela, risks setting loose a spiral of violence and death in a region that has pledged itself to establishing a zone of peace. Washington ought to immediately lift the outrageously smug and certainly arbitrary sanctions to cease any form of support for the ultra-right, provocative segment of the opposition, and begin the process of rapprochement with Caracas. It is still not too late for President Obama to arrive at the Summit of the Americas in Panama this April as a peace-maker, for if he continues with the current policies, he should expect to be coolly received by other democratic leaders in Latin America. Americas Summit: Will Chávez Steal the Show Again? 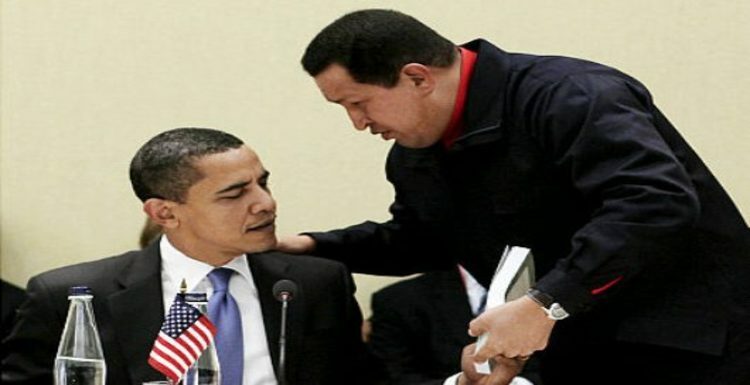 April 16, 2009 COHA Comments Off on Americas Summit: Will Chávez Steal the Show Again?